As you prepare for the new year I’ve included several Bible reading plans to encourage your time in the Word. They are in PDF format so that you can print them and tuck them in the flyleaf of your Bible for a reminder as you develop the habit of reading the Bible daily. The six-day format will take you through the Bible cover to cover. The seventh day can be used to make up one of those days you might have missed or to reflect upon passages studied earlier in the week. 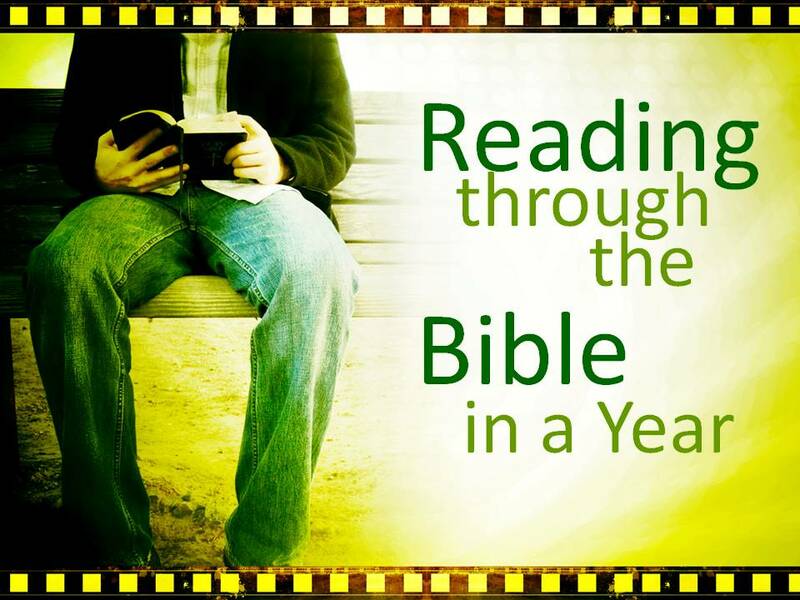 If you’re just starting your Bible reading adventure you may want to simply read a key chapter of the Bible each day. While using this approach will not allow you to read every verse in the Bible in the course of the year, you will move through the high points without getting lost in the “lists of names” or Old Testament prophecies that often require greater cultural study for understanding. Typically when we read a book we expect the events to be communicated in chronological order. However, the Bible groups its various books by genre or style of writing (i.e. histories, poetry, prophecies, etc.). For instance, the events of Job’s life probably occurred during the time of the events in the book of Genesis, but the book of Job is placed about half way through your Old Testament (because it is considered poetry). Reading the Bible through chronologically will open up some insights you otherwise might miss. If you would like to read the events of the Bible chronologically, but prefer to read a chapter a day then the following Bible reading schedule is for you. 365 key chapters placed in chronological reading order. Perhaps you would like to read the Bible in the morning, and in the evening. The following schedules arrange your morning reading from the New Testament, and your evening reading from the Old Testament. Whichever reading format you might wish to choose, the most important choice is the one you will make daily as you strive to read, learn and apply God’s Word to your life. May He bless you in your endeavor. This entry was posted in A Plan for Reading Through the Bible, Bible, Holidays, New Year and tagged bible in a year, bible in chronological order, bible reading schedule.